Panasonic Factory Automation Group will showcase the new generation of SMT technology with a mini production line consisting of our Next Modular Machine (NPM-W2) and High Screen Printer (SPG) run by the MES Solution PanaCIM in NEPCON Vietnam exhibition. NEPCON Vietnam, the largest exhibition on electronic manufacturing solutions, will be held from 17 to 19 September at the Hanoi International Center for Exhibition with the participation of over 100 brands from 10 countries and 7,000 quality buyers. The highlight of the exhibition is the Next Production Modular NPM-W2 which is redesigned and upgraded last year’s revolutionary predecessor. 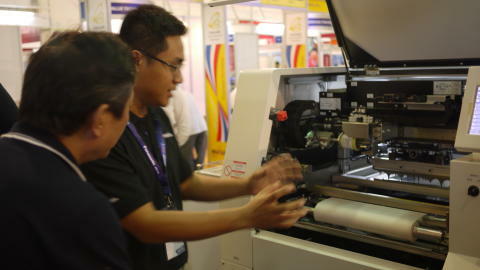 It features a 10% throughput boost and 25% accuracy increase which ensures higher productivity and better quality control. The control system PanaCIM contributes to maximize production efficiency, allowing easy management of materials, outputs and product quality by creating a complete eco-system for operation. With the introduction of PanaCIM, Panasonic aims to provide customers with comprehensive solutions of smart factory operation for further improvements in the manufacturing process. 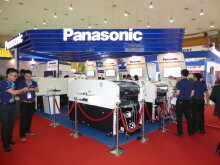 Right at the exhibition booth, our technical experts will be ready to operate and showcase Panasonic’s full range production capacity and also to response immediately to customers’ requests. From 17 to 19 September, interested visitors and potential customers are welcome to discover our products and receive exclusive giveaways for NEPCON event. 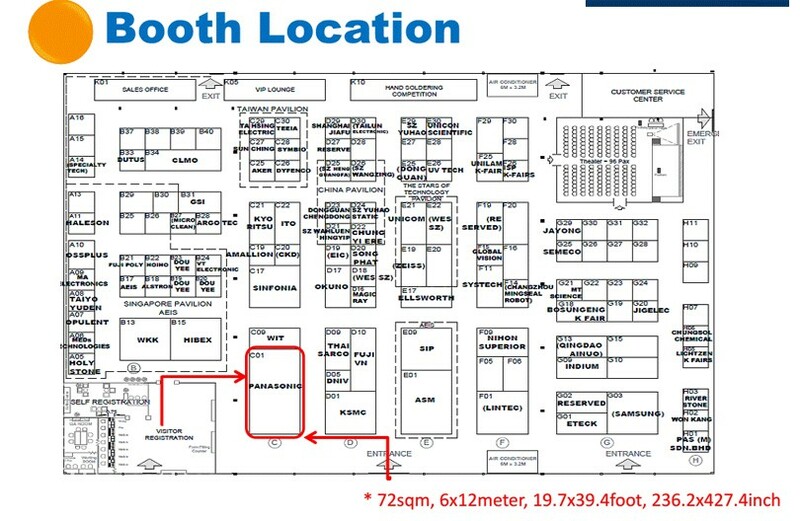 Our exhibition booth is located right next to the registration site, easily recognized standing to the left of the entrance.